With the population ageing, more people will have caring responsibilities. In Hong Kong, over 70% of elders suffer from one or more chronic illness, which can create stress in elders and their carers, both physically and psychologically. We need to think of ways to make people live happier rather than just longer. The Aromatouch carer course is designed for those who work in the care industry and for individuals who interact with those who need special attention. 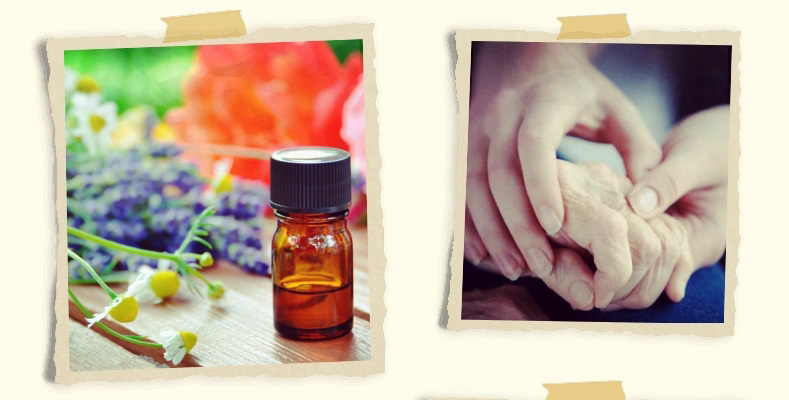 This is a ‘hands on’ course to be taught by professional aromatherapists to care workers or carers working in a variety of settings, who want to learn how to incorporate the use of touch with essential oils on primarily the elderly, children and those with special needs. The strokes are done with only the flat of the hand to the back over clothing, shoulder, hands and feet on bare skin to produce soothing and warming movements. The massage can be done anywhere, standing or sitting taking into account that most of the client groups who might benefit from this method of massage are not able to tolerate a standard massage on a couch. The strokes describe creative shapes and stories are designed to accompany the massage sequence. Story massage such as picturing the happy moments of playing mahjong will bring up memory and enjoyment throughout the day. It allows qualified practitioners to incorporate new skills to their existing practice and add another dimension to their work, honed to a niche market. Those who complete the Aromatouch Carer Course (with an attendance rate of 80%) and the required assignments, and successfully pass through the IFA assessment will receive the IFA’s certificate of competence and be entered onto the IFA Career's register.